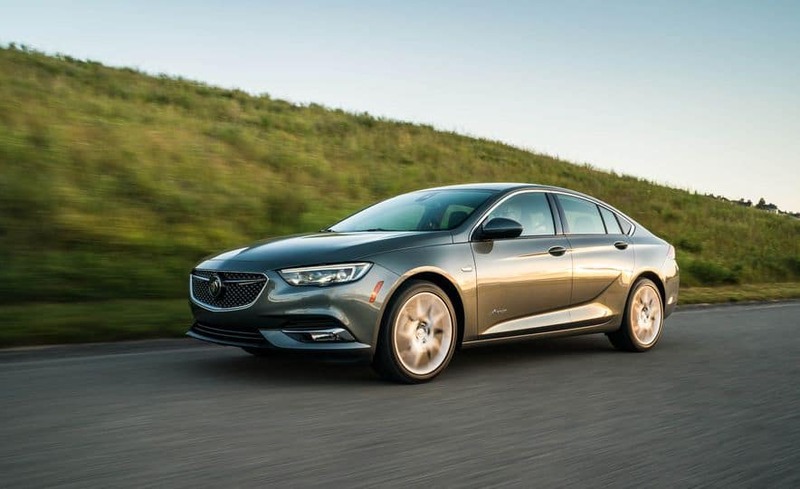 Introduced last year, the Buick Regal Sportback at Champion Buick-GMC took the market by storm. The Regal sedan has been a standard for which competitors strive. The Regal Sportback took the traditional sedan looks and moved it into a sleek liftback stance. For 2019, the car remains unchanged with the exception of a new model in the Avenir trim. 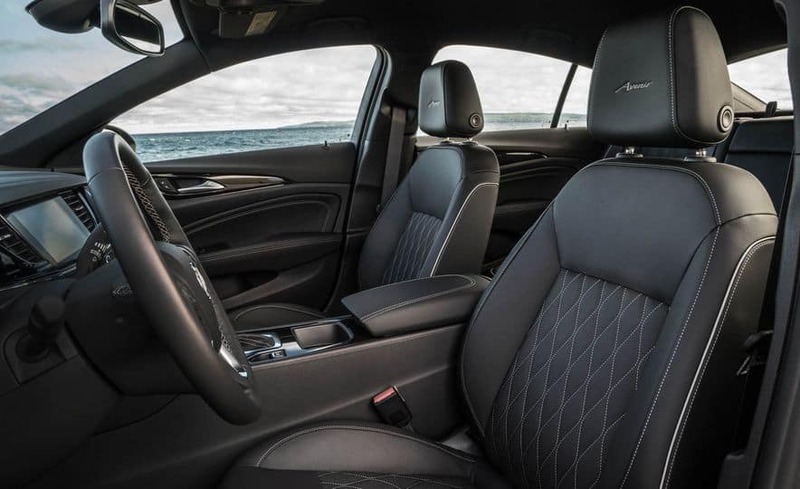 Inside the Avenir model, there are embroidered Avenir logos in the headrests, Avenir badges on the side sills, and quilted leather upholstery that’s available either in black or in an Avenir-exclusive Whisper Beige color. The model also comes nearly fully loaded, with navigation, a Bose audio system, LED headlights, and several active-safety features—although adaptive cruise control is still optional. All of the Sportback’s main trims; Base, Preferred, Preferred II, and Essence, return for 2019. Standard features on include 17-inch alloy wheels, LED daytime running lights, a 60/40 split-folding rear seat, keyless access and start, a 7-inch infotainment system with Apple CarPlay and Android Auto compatibility, USB connectivity, 4G LTE connectivity, cloth upholstery, and, for 2019, a cabin ionizer. Preferred adds a leather-wrapped steering wheel, an 8-way driver’s seat, and an auto-dimming mirror. Preferred II throws in a 40/20/40 split-folding rear seat, 18-inch machined alloy wheels, fog lights, and an upgraded 8-inch infotainment system. The Essence level adds heated front seats and leather upholstery. 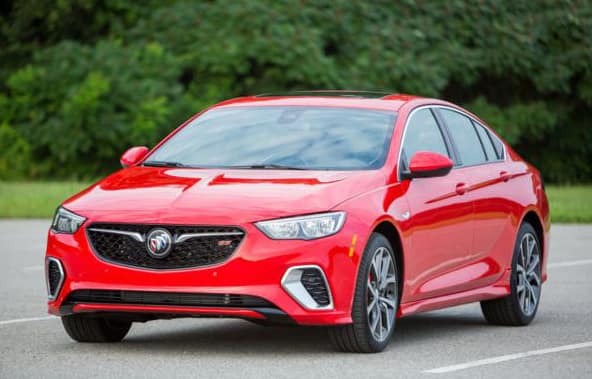 Buick also offers the GS grade with a unique sporty front and rear fascias, side skirts, and spoiler, 19-inch wheels, Brembo performance brakes, a sport-tuned exhaust system, and exclusive paint colors. Inside, GS gets a flat-bottomed steering wheel, ergonomic racing seats with heating, cooling, and massaging, and a full-featured instrument cluster. All models use the turbocharged 2.0-liter inline V4 engine with 250 horsepower and 265 pound-feet of torque paired to a 9-speed automatic transmission. Front-wheel drive (FWD) is standard, while the Preferred II and Essence offer all-wheel drive (AWD) for an additional cost. This setup can get great mileage at 22 mpg city, 32 highway, and 28 combined on premium fuel. The Sportback GS gets a bigger 3.6-liter V6 with standard AWD and a 9-speed automatic transmission, which puts out 310 hp and 282 lb-ft of torque. The larger V6 is rated for 19, 27, and 22 mpg using premium fuel. The Regal Sportback employs ample safety features, including a standard reversing camera. Another standard feature is the active hood, which detects an imminent collision with a pedestrian and raises the hood within milliseconds to minimize injury. From there, buyers can choose extra safety packages. Driver Confidence I adds lane-departure warning, blind-spot monitoring, rear cross-traffic alert, and rear backup sensors. Driver Confidence II tacks on front pedestrian braking, lane-keep assist, forward collision alert, and adaptive cruise control with forward automatic braking. Contact Champion Buick-GMC for more information today!